Many Bloggers start their journey with Blogspot, and later they move to WordPress platform. Blog users who believe in hosting their website on Self-hosting WordPress, migrate from Blogspot and start blogging on WordPress. If you are too, then you need to do something to transfer your traffic to your new Website. If you require moving your traffic to your new Blogspot blog or any other website, then this article is interesting for you. First learn more about Website redirection to the new website. Bloggers always want to buy their TLD(Top level Domain) but without enough income to purchase a domain, they work on free blogging services like Blogger. The newbies on Blogspot make some mistakes that can cause their blogs to be removed by Google robots. But with own Hosting and Domain it is the safe way to blog and make a backup of your website. In a cause of migrating to the new site, it is not impossible to get traffic like your old blog get. So redirecting of visitors to a new website is very help full to drive traffic instantly. In this tutorial, I will show how to transfer traffic of your old blog to new website or blog. Login to your Blogger account and then select you want to redirect. To redirect blog, you need to edit Blogspot template. Go to Template>Edit HTML. Click in the HTML Box and press (Ctrl+F) to show the search box. Search for <head> tag. There are three kinds if redirections can be made in Blogger. 1. Redirect everything to new Blog. Change the red line (http://NewBlogblogspot.com) with your new website or blog URL. 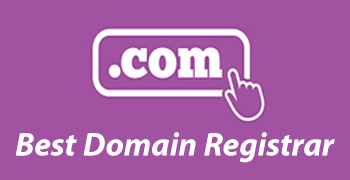 If you want to redirect particular URL, then use the following codes. In the above code, the green line is the specific URL that you want to transfer, and the red line is a new blog link. You can also be able to add any URL Domain. In this code, 5 is the time of redirecting visitors to the new blog. I have managed 5 seconds, but you can change it. If you want to set 1min than replace 5 with 60. Use any of the below code you want and paste it after the <head> tag. Save the template and check the changes. If you set custom time than wait for redirecting. If you are migrating entirely to new Website than I suggest you to use the first find of redirecting code to transfer all traffic to new one but for one URL, use the second one.